North and South, people hope for peace and the success of their side. Many Northerners are more optimistic than last year. Many Southerners worry about scarcity and extremely inflated prices. Extremely cold weather dominates much of the nation, thus preventing fighting but hard on soldiers and their animals. The world continues to move on. December 31, 1864– Thursday– New York City– “1863 A.D. is now in extremis. It has proved a far better year for the country than it promised at its birth. . . . . But only a very bold man can prophesy for a whole year ahead in these times.” ~ Diary of George Templeton Strong. December 31– Thursday– Washington, D.C.– “The year closes more satisfactorily than it commenced. . . . The War has been waged with success, although there have been in some instances errors and misfortunes. But the heart of the nation is sounder and its hopes brighter. The national faith was always strong, and grows firmer. The Rebels show discontent, distrust, and feebleness. They evidently begin to despair, and the loud declarations that they do not and will not yield confirm it. The President has well maintained his position, and under trying circumstances acquitted himself in a manner that will be better appreciated in the future than now.” ~ Diary of Gideon Welles. December 31– Thursday– Camp Sedgwick, Virginia– “The year is ended. Good bye 1863 and may God grant that success attend our labors for our country in the year so soon to open.” ~ Diary of Union officer Elisha Hunt Rhodes. December 31– Thursday– New Orleans, Louisiana– “The last of eighteen sixty-three is passing away as I write. . . . Every New Year since I was in my teens, I have sought a quiet spot where I could whisper to myself Tennyson’s ‘Death of the Old Year,’ and even this bitter cold night I steal into my freezing, fireless little room, en robe de nuit, to keep up my old habit while the others sleep. . . . . Go and welcome! Bring Peace and brighter days, O dawning New Year. Die, faster and faster, Old One; I count your remaining moments with almost savage glee.” ~ Diary of Sarah Morgan Dawson. January 1, 1865– Friday– New York City– “By these presents I wish a Happy New Year to all mankind, except Jefferson Davis and his group. To them, I wish virtue enough to withstand urgent daily temptations to hang themselves.” ~ Diary of George Templeton Strong. January 1– Friday– Washington, D.C.– “A bright day ushers in the year. Yesterday’s northeast storm has disappeared, and the clouds fell to the earth in heavy rain last night. Went with my family to the Executive Mansion at 11 A.M. to pay our respects to the President. Foreign ministers and attaches were there. Navy and Army officers came in at half past eleven. The house was full when we left, a little before twelve. Received at house until 4 p.m. Had official and friendly calls from Navy and Army officers, judges, foreign ministers, etc., etc., with such old friends of my own State as were in Washington, and not a few comparative strangers, who expressed warm personal and official regard.” ~ Diary of Gideon Welles. January 1– Friday– St Paul, Minnesota– At daybreak the temperature is 35 degrees below zero. January 1– Friday– Hardy County, West Virginia– “Encamped about 12 o’clock at night about 3 miles south of Moorefield. Marching very bad on account of ice, and cold weather.” ~ Diary of Confederate soldier Robert P Bryarly. 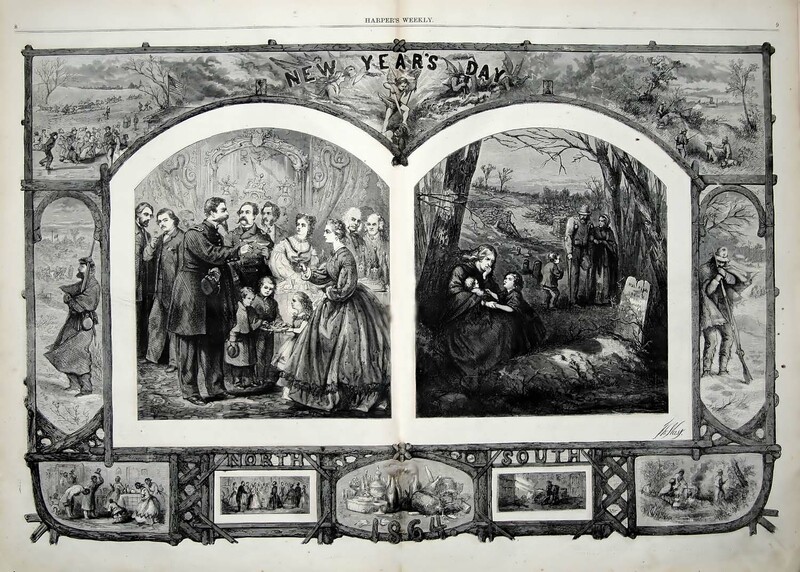 January 1– Friday– Brandy Station, Virginia– “The new year opens without any important events. The troops are in comfortable quarters, built of logs and covered with canvas. Drill takes place daily and an occasional review breaks up the monotony of our camp life. The men are still re-enlisting for the remainder of the war and I hope to be sent home soon on my leave of absence.” ~ Diary of Elisha Hunt Rhodes. January 1– Friday– Memphis, Tennessee– A large cold air mass sweeping out of Canada into much of the United States has brought frigid temperatures this far south. On almost all fronts, no military action occurs. January 1– Friday– Shelby County, Tennessee– “Tis New Year, a happy one to our household. Lieutenants Spotswood and Eddie came last night. Poor Eddie is greatly in need of clothes. . . . It is very cold, all nature is robed in Ice. Notwithstanding the Yanks are such near neighbors, we have had a house full of Rebels all day, four of Henderson’s Scouts– Lieutenants S. Eddie, Jim & Elb Jeters. Nannie and I went in the buggy over to the smuggler’s, Joe White, to see if we could not get some things there for Eddie, failed, brought Lute some soap– almost froze to death– got home at dark, all just finishing dinner, had a splendid time tonight. Our Armies all seem to be Status Quo. God grant successful may be the termination of 1864– oh! my savior I have buried the past-guide and lead me from temptation. After you, my God, then I live for my Country– God bless our leaders in Dixie.” ~ Diary of Belle Edmondson. January 1– Friday– Liberty, Texas– “Reached Liberty, frozen stiff. Yesterday it was so cold we could not travel. Horses, saddles, blankets, clothes all frozen stiff. One man frozen to death. Today the ice on the prairie held the weight of the horses, causing them to slide and fall, injuring them severely. Forded Trinity River above town, saddle seat deep. 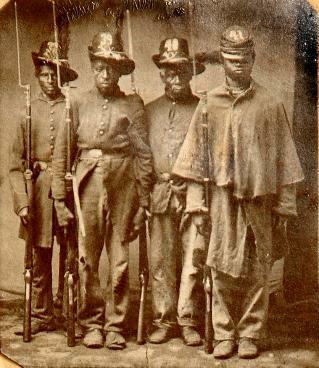 Rained all day and night.” ~ Diary of Confederate soldier H N Connor. January1– Friday– Brisbane, Queensland, Australia– The Queensland Police Force begins operations with 143 employees. Lincoln is praised by Harper’s Weekly and thanked by the Russian government. The Sherman brothers exchange letters on political and military affairs. Whitman hears from his brother and from a good friend. Reverend Finney deals with finances. George Templeton Strong remains anti-British. Fighting and hard times continue in the Confederacy. The world continues to turn. December 26– Saturday– New York City– “The President has been often accused of tardily following instead of leading public opinion. But it is his great merit that he early saw this to be a war in which the people must save themselves. 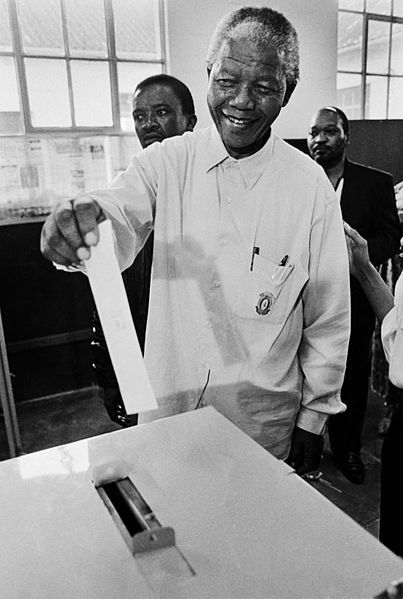 If they were unequal to the task, a popular government was a failure. And therefore he has sought only to be the executive magistrate of their will, which he has divined with more sagacity than any public man in our history. It is that sagacity which now admonishes him to put into clear and simple form the settlement to which the national common-sense irresistibly tends. He has done it. 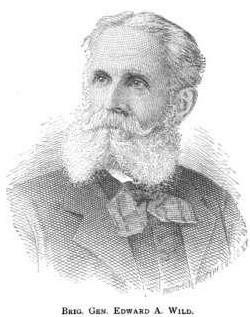 Not as an advocate, or partisan, or fanatic, but with the same wisdom and passionless equity which has marked his official career from the moment he commended himself to the prayers of his old friends and neighbors at Springfield, and set forth to undertake as vast a duty as was ever committed to man.” ~ Harper’s Weekly. 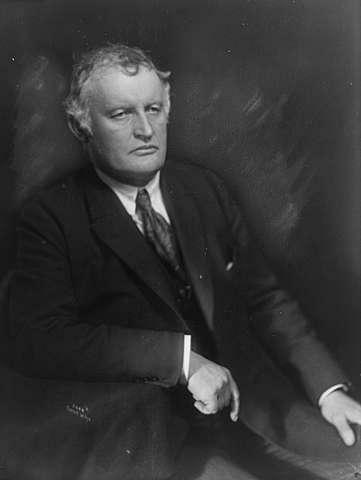 December 27– Sunday– Albion, Illinois– Birth of Louis Lincoln Emmerson, who will serve as governor of Illinois from 1929 to 1933. December 27– Sunday– McMinnville, Tennessee– “The fates seem determined that we shall be stripped of everything we possess. Oh! when I see the ruin around me, and think of our wasted time and home, and know that thousands among us have lost dear ones of the home circle, as well as property,– words cannot express the bitterness of my soul towards those who have plunged our people into this needless and unnatural war. Everyday my whole head and soul cry out—‘will it never, never end?’” ~ Journal of Lucy Virginia French. December 27– Sunday– Grisson’s Bridge, Tennessee– Here and at four other locations in the state there are hard-fought skirmishes. December 28– Monday– Copake, Columbia County, New York– “My last letter to you was dated from Springfield Mass. I went home on Saturday and had an opportunity to come up here and make some surveys for an Iron Company. I shall probably be kept here all this week and possibly part of next. . . . . Well, Walt here I am about 110 miles from New York, up in the Harlem and New York R. R. just on the edge of the state of Massachusetts, among a mass of high mountains and deep valleys. The night is one of the wildest that I ever remember, the wind is blowing a gale, the snow and sleet and rain by turns come plashing against the windows. I am boarding at an old fashioned country house . . . as comfortable quarters as I ever enjoyed– good living, good fire– good rooms and good bed– clever old Dutch-fashioned American people. I’ve just been drinking some good cider and eating some fine apples. Everything thing is as comfortable and country like.” ~ Letter from Jeff Whitman to his brother Walt. December 28– Monday– General Lee’s headquarters, Virginia– “I have the honor to make application for Thirty days Leave of absence to visit my home in Georgia. It is over one year since I was last at home. I have during the past summer with the consent & approbation of the War Department had imported from England machinery of an important character for the purpose of manufacturing ‘card clothing’ for Cotton & woolen mills, of which all the mills of the Confederacy are much in need. The machines are not in operation, my personal attention being necessary to put them in full & successful operation, thereby advancing the interest of our whole country, as well as personal. By the Act of Congress, I could be exempted from all military duty, to remain at home & superintend said machines. But my first & greatest duty is for my country, and all I ask, is to allowed the above time now that I may be able to serve my own interest as well as my country’s.” ~ Request for leave submitted by Confederate Colonel Barrington Simeral King. December 28– Monday– along the Hiwassee River, Meigs County, Tennessee– “A citizen named Trotter, came into our camp. He was an old man, and professed to be loyal. I interrogated him on the tobacco question. He replied, ‘The crop has been mitey poor fur a year or two. I don’t use terbacker myself, but my wife used to chaw it; but the frost has been a nippen of it fur a year or two, and it is so poor she has quit chawen ontirely.’ . . . . While we were encamped . . . a Union man, near seventy years old, was murdered by guerrillas. Not long before, a young lady, the daughter of a Methodist minister, was robbed and murdered near the same place. Murders and robberies are as common occurrences in that portion of Tennessee as marriages in Ohio, and excite about as little attention. Horse stealing is not considered an offense.” ~ Diary of Union General John Beatty. December 29– Tuesday– Mossy Creek, Jefferson County, Tennessee– In a battle that lasts about eight hours, Union forces turn back an attack by a Confederate force of about 2,000 soldiers. Federal losses total 151; Confederate losses amount to approximately 500. December 29– Tuesday– Birmingham, England– “Learning by the last arrival from New York that [our] Government have built a fort on the site of a blast-furnace belonging to me at Chattanooga, Tennessee, situated on the bluff at the river’s bank in the town, I have taken the liberty to call your attention to a fact that is not generally known and which accidentally came to my knowledge. The site of the furnace or the fort is a bluff which rises about 80 to 100 feet perpendicularly from the river. In the face of this bluff, near high-water mark and accessible from the river, is a cavern, which I am told extends under the bluff and through the ridge for upward of 1 mile. This cavern has been the resort of fugitive slaves. It has occurred to me that as the army has been there but a short time the officers in command may not know of its existence. Judging from what I know of the position I have thought it might be a matter of some importance to you to be made aware of the fact. Whether it could be used as a mine to destroy the works over it your officers are betterable to judge than I am, but as this bluff commands the ferry, the river for some distance, and the town of Chattanooga, and the East Tennessee and Georgia Railroad, and in view of the scarcity of water in the town, it may safely be called the key of the position. And as the position is ranked as a ‘decisive strategical point of the highest order’ . . . 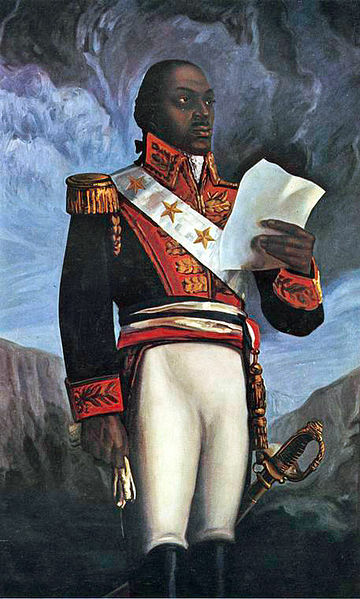 I have taken the liberty to address you this letter.” ~ Letter from James Henderson to the War Department in Washington, D.C.
December 30– Wednesday– New York City– “Southern correspondents of British newspapers begin to write darkly and despondingly [sic] of the prospects of a slave-holding, woman-flogging Secessia, so dear to the gentry and the traders of Britain. In spite of myself, I feel more and more bitter against England every day for the moral support her ruling classes have given this atrocious rebellion . . . . as if I were to discover that one of my most intimate and trusted friends was a humbug and a scoundrel.” ~ Diary of George Templeton Strong. December 30– Wednesday– Somerville, Massachusetts– “I found I could get nothing but promises from the booksellers for the present, so I sent you today a package of such books as I could pick from my own shelves, together with some newspapers– a variety in which I hope you will find a few things to suit your purpose. . . . . I can send you more newspapers– and perhaps more books– in a few days, if you wish for another bundle.” ~ Letter from John T. Trowbridge to Walt Whitman. December 30– Wednesday– Lancaster, Ohio– “We must all be judged by our own peers, stand or fall by their verdict. I know I stand very high with the army, and feel no concern on that score. To-day I can do more with Admiral Porter or the Generals than any general officer out West except Grant, and with him I am as a second self. 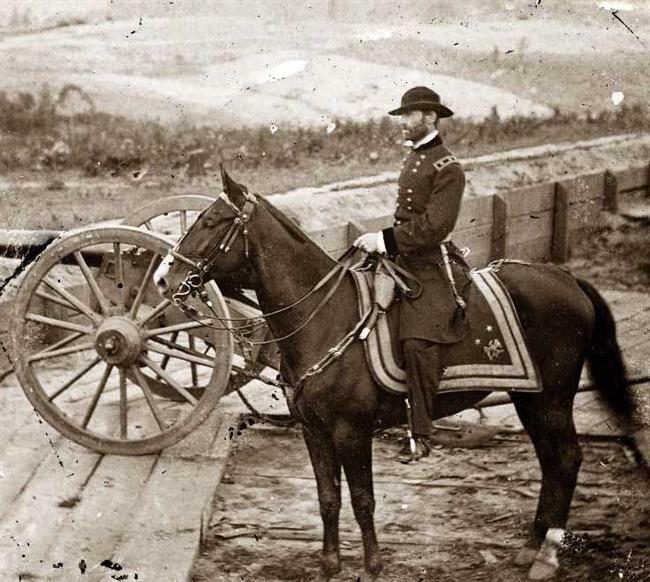 We are personal and official friends.” ~ General William Tecumseh Sherman to his brother Senator John Sherman. December 30– Wednesday– Richmond, Virginia– “It will not be long ere many of the Yankee prisoners, now in confinement on Belle Isle, will have an opportunity of breathing the salubrious air farther South, the Government having made selection of a spot in Georgia, near Andersonville, Sumtar county, for their reception and safe-keeping, their present place of confinement being rather over-crowded. The location is on the Southwestern railroad, between Oglethorpe and Americus, where no difficulty will be encountered in supplying their wants.” ~ Richmond Sentinel. Fighting, blessings, scarcity, hope, despair, missing the family, gladness in music– the third Christmas in the midst of the war. 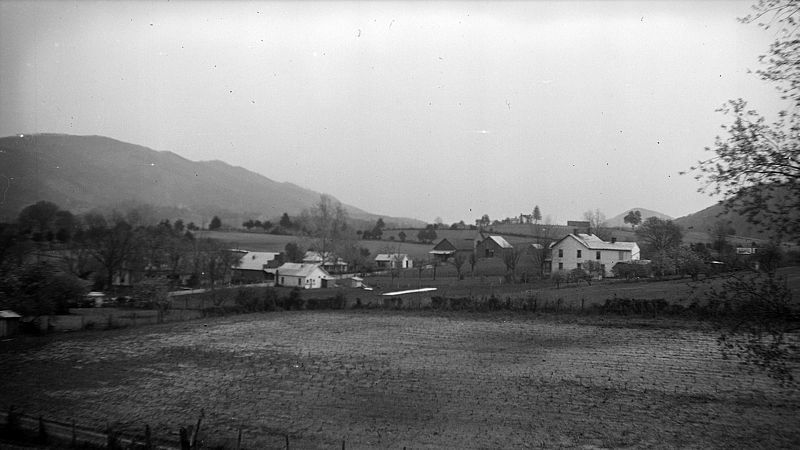 December 24– Thursday– Bull’s Gap, Tennessee; Jack’s Creek, Tennessee; Estenaula, Tennessee; Germantown, Virginia; Rodney, Mississippi; Hay’s Ferry, Tennessee; New Market, Tennessee; New Castle, Tennessee; Lee County, Virginia; Purdy, Tennessee; Mossy Creek Station, Tennessee; Peck’s House, Tennessee– Skirmishes, ambushes, fire fights, armed encounters, tussles and nasty scraps as a divided country prepares to observe its third Christmas in the midst of war. December 24– Thursday– Washington, D.C.– It is hereby stipulated . . . that the tobacco in this country, belonging to the Austrian Government, purchased and paid for prior to the 4th of March 1861, amounting to six hundred and twelve (612) hogsheads, or thereabouts, may be exported from places within the limits of the blockade, on conditions similar to those required for the exportation of tobacco belonging to the French government; but as it is not convenient for the Austrian Government to post any of its naval vessels for the purpose of superintending such exportation, it is farther stipulated that such exportation may be made under the superintendence of such of the vessels of the French navy as may be employed in superintending the exportation of the tobacco belonging to the Government of France.” ~ Treaty between the United States and the Empire of Austria. December 24– Thursday– Cleveland, Tennessee– “We went over to see Mr. Walcott (the wounded soldier), he is worse this eve. It looks so gloomy and cheerless over there, I have felt so sad ever since I was there. Oh, if he would only get well. . . . What a gloomy Xmas eve this, how unlike other Xmases I have passed. Will I ever enjoy myself as well again? Rhoda came in from Aunt E’s this eve to enjoy, no not enjoy, but pass Xmas. She is now reading our hero Stonewall Jackson’s Life to Mother. R and I fixed up a few ground nuts, walnut and hickory nuts for Stepney’s stocking. Oh, so sad is our like at this time. If I could only see into the future, but it doesno good to record sad thoughts and gloomy scenes, so I will close my journal. . . . The Yanks have reinforced, are looking for the ‘Rebs’ tomorrow.” ~ Diary of Myra Adelaide Inman. December 24– Thursday– London, England, William Makepeace Thackeray, British novelist and poet, dies unexpectedly from a stroke at age 52. He has published almost two dozen novels and at the time of his death is second only to Charles Dickens in popularity among British readers. 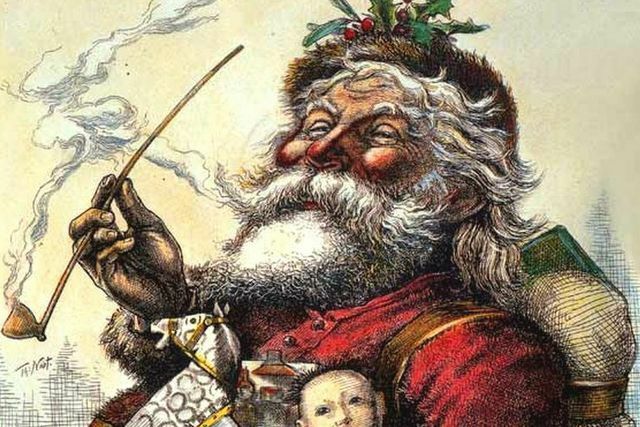 December 25– Friday– New York City– “Christmas has passed off satisfactorily. It has been the clearest of clear days and not so cold as yesterday. After breakfast, the children were admitted to the beatific vision of their presents and made the middle parlor a bedlam for an hour. Then we went to church. Great crowd. Aisles full of standing people. Vinton’s sermon respectable. Music good. Wonderful to relate, the anthem was the ‘Gloria’ of Mozart’s No 12.” ~ Diary of George Templeton Strong. December 25– Friday– Washington, D.C.– “Greetings full, hearty, and cordial this morning. For a week preparations for the festival have been going on. Though a joyful anniversary, the day in these later years always brings sad memories. The glad faces and loving childish voices that cheered our household with ‘Merry Christmas’ in years gone by are silent on earth forever. [Five of his eight children died in childhood.] Sumner tells me that France is still wrong-headed, or, more properly speaking, the Emperor is. 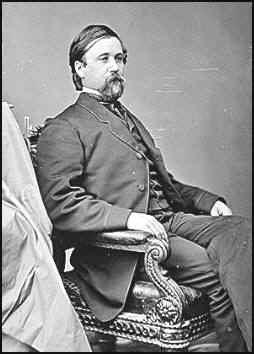 [The French Minister to the United States, Henri] Mercier is going home on leave, and goes with a bad spirit. Sumner and Mercier had a long interview a few days since, when Sumner drew Mercier out. 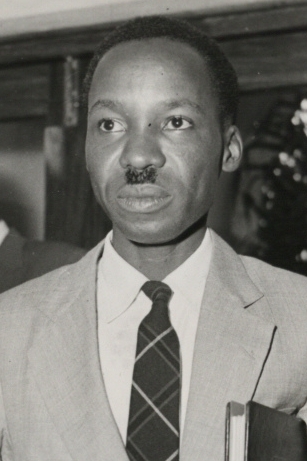 Mercier said the Emperor was kindly disposed and at the proper time would tender kind offices to close hostilities, but that a division of the Union is inevitable. Sumner said he snapped his fingers at him and told him he knew not our case. Sumner also tells me of a communication made to him by Bayard Taylor, who last summer had an interview with the elder Saxe-Coburg. 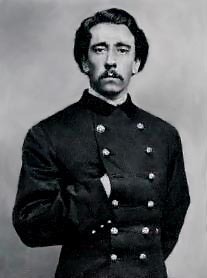 The latter told Taylor that Louis Napoleon was our enemy, that the Emperor said to him (Saxe-Coburg), ‘There will be war between England and America’– slapping his hands– ‘and I can then do as I please.’ There is no doubt that both France and England have expected certain disunion and have thought there might be war between us and one or more of the European powers. But England has latterly held back, and is becoming more disinclined to get in difficulty with us. A war would be depressing to us, but it would be, perhaps, as injurious to England. Palmerston and Louis Napoleon are the two bad men in this matter. The latter is quite belligerent in his feelings, but fears to be insolent towards us unless England is also engaged.” ~ Diary of Gideon Welles. December 25– Friday– Camp Sedgwick, Virginia– “It may be that we will get home soon and it may be we will not get home for 3 years and it may be we will never get home. I am satisfied here as long as I fee that I am doing the Will of God. I have family worship in our tent. I have prayer meeting in my tent and when the weather is fit on Sunday we have preaching. And on Thursday Evening we have prayer meetings. So if the Army is a hard place and a Soldier’s Life is a hard life. There is none that need be lost. If they are lost it is their own fault. It is not God’s for in His Word He saith as I live saith The Lord, I have no pleasure in the death of the wicked. But rather all would be born and live. Turn, ye, Turn, ye, for why will ye die? This is Christmas. . . . . The weather is very cold. It has been cloudy nearly all day with the appearance of snow. I think that it will snow before morning.” ~ Letter of Union soldier Franklin Rosenbery to his father John. December 25– Friday– Camp Sedgwick, Virginia– “This is Christmas Day and the third one I have passed in the Army. . . . . I gave a dinner to a party of officers and we tried to celebrate Christmas in a becoming manner.” ~ Diary of Union officer Elisha Hunt Rhodes. December 25– Friday– near Culpepper, Virginia– “It is a great length of time since I wrote to you than I usually let pass without writing, but I will try to make up for it to-day. A merry Christmas to you! What would I not give to be able to look in and see what my darling wife is doing to-day! I hope you are enjoying yourself as all persons ought on this usually happy day. How is it, my dear? As for myself, I cannot say that there is anything more than usual to mark the day. Indeed there is nothing in camp to distinguish the day from others, unless it be the unusual flow of whiskey, which is abundant. Last night it was quite noisy, and from all present indications it will not be any more quiet to-day and to-night. At this moment I hear several expressing themselves in various parts of the camp in so decided a manner as to show that whiskey is the chief performer. . . . . I have no doubt you are eating a good turkey dinner about this time. At least I hope so, and may you have a good appetite to eat some of the choice dressing and bosom of the turkey. Next Christmas, my dear, I will be with you, and will you have a turkey dinner for me?” ~ Letter from Union soldier David Beem to his wife. December 25– Friday– Richmond, Virginia– “It is a sad Christmas; cold, and threatening snow. My two youngest children, however, have decked the parlor with evergreens, crosses, stars, etc. They have a cedar Christmas-tree, but it is not burdened. Candy is held at $8 per pound. My two sons rose at 5 A.M. and repaired to the canal to meet their sister Anne, who has been teaching Latin and French in the country; but she was not among the passengers, and this has cast a shade of disappointment over the family. A few pistols and crackers are fired by the boys in the streets– and only a few. I am alone; all the rest being at church. It would not be safe to leave the house unoccupied. Robberies and murders are daily perpetrated. I shall have no turkey to-day, and do not covet one. It is no time for feasting.” ~ Diary of John Jones. December 25– Friday– Stevenson, Alabama– “It is Christmas night & nearly nine o’clock. We have a good fire & it is a comfort to sit beside it. To be sure there are at our command none of the little good things that fill up all the chinks between greater blessings. We can crack no walnuts, eat no apples, drink no cider. Yet a respectable amount of happiness distinguishes our condition. I suppose you will not consider it egotistical if I enumerate more particularly the particulars of our life this day. Before getting up this morning I thought over the glorious time you would have if the weather shall prove favorable & those friends all come to your feast. Guess I might have excited some longings to be there myself if the consciousness that such exercises were perfectly vain did not abide with me.” ~ Letter from Union officer Andrew Upson to his wife. In lines that could come from a current commentator, Navy Secretary Welles complains about Congressional inactivity. President Lincoln and his Cabinet keep abreast of international affairs. In between skirmishes, soldiers write home. Complaints emerge about government censorship. 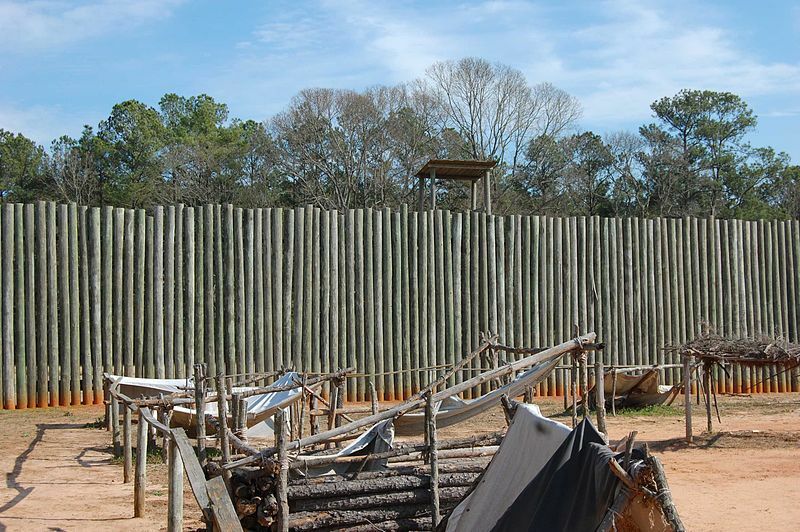 A terrible chapter begins as the Confederacy decides to build a prison camp at Andersonville, Georgia. December 21– Monday– Andersonville, Georgia– Confederate government official Sydney J. Winder has been searching for a location to build a prisoner-of-war camp, far from the battlefields and where supplies will more available. Today he selects a spot in Sumter County and issues an order for construction to begin. Officially it is to called “Camp Sumter” but it will soon become known by the name of the nearby town. December 22– Tuesday– Washington, D.C.– President Lincoln submits to the Senate for ratification two trade treaties with the Kingdom of Belgium. December 22– Tuesday– camp near Stephensville, Virginia– “This morning I again take the Liberty of inform you that we are laying in Winter Quarters at this present time. I am well. Hoping that these few imperfect lines may find you and step-mother, brothers and sisters all enjoying good health and happiness and content. I must still say that I am contented and satisfied feeling that I am doing my Master’s Will. Although I have a great many hardships to endure where people at home know nothing about. I am satisfied to bear these things for Jesus Sake and for the Freedom of Our Country– which I believe is not great distance in the future. O Lord, hasten the time that wars may be done away and Peace in Our Lord prevail again.” ~ Letter from Union soldier Franklin Rosenbery to John Abraham Rosenbery, his father. December 22– Tuesday– Chattanooga, Tennessee– “Lieutenant Colonel Wiles, Provost Marshal General of the Department of the Cumberland to-day gave me verbal notice to send all citizens letters to him for inspection. I put the question to him whether he meant to include the letters of those few citizens here who have been true as steel from the commencement of the War. He answered, yes, and remarked that it was a military necessity. You may imagine that I felt indignant that a number of subordinates should be permitted to have the disposal of the letters to men whose patriotic conduct entitles them to all the privileges of American citizens in any portion of the country. . . . I have, by the mail that brings this letter, communicated briefly the facts narrated above at some length to the Post Master General. It is my desire and intention to pay proper respect to all military orders by those in command in this vicinity, but as the same time I shall do all in my power to protect those noble spirits in this and adjoining counties who have stood the test of Rebel persecution for nearly three years, against unnecessary interferences and annoyances of upstarts who have nothing but their shoulders straps to recommend them. To this end I deemed it advisable to communicate with your Excellency, knowing you to fully appreciate their many sacrifices for the Union.” ~ Letter from Mr James R Hood, a postal worker, to Andrew Johnson, the military governor of Tennessee, complaining about military efforts to censor the mail. December 23– Wednesday– Washington, D.C.– “Congress has adjourned to the 5th of January. Little has been done as yet. There appears to be, I think, a good feeling among the Members, though there are petty intrigues among the small men in abundance.” ~ Diary of Gideon Welles. December 23– Wednesday– along the Rappahannock, Virginia– “Last night it snowed some. The ground was covered but the sun is shining. Now the wind is rising and it is pretty cold and has been for the last week back. We have middling good quarters. About as good as that pig pen in front of your barn only we have a chimney in our cabin. . . . . I could give you a regular history of all my travels and all that I have seen since I left home. I have it noted down in a book. But when I set down to write a letter home I must hurry it over. As often [as not] I am interrupted before I get through.” ~ Letter from Union soldier Franklin Rosenbery to his father, John. December 23– Wednesday– Jacksonport, Arkansas; Culpepper Court House, Virginia; Corinth, Mississippi; Mulberry Village, Tennessee; Centreville, Missouri; Powder Springs Gap, Tennessee– Infantry, cavalry and artillery in various combinations tangle with their opposing number. December 23– Wednesday– Athens, Georgia– “At a meeting of the ladies of Athens, it was deemed advisable to publish a denial to the slanderous reports, that have been circulated in regard to our mistreatment of the refugees in our midst. We will say that we have been deeply grieved at the want or proper feeling attributed to us. That so far from having any hard feelings towards those driven from their homes by our common enemy, our kindliest sympathies have ever been for them. We have welcomed them in our midst, with warm hearts, and so far as the pressure of the times would admit of, we have ministered to their necessities. The only public meetings of the ladies of Athens, have been to aid our suffering soldiers, and all our works in those meetings have been labors of love. It has wounded us, that our good should have been evil spoken of, but we are only more determined, with warm hearts and hands to minister to all who are suffering, or may suffer in the cause of our bleeding country. All newspapers which have published these injurious reports, will do us the justice to give publicity to our denial. 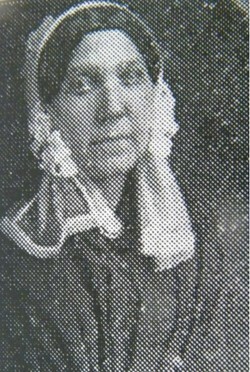 Mrs. Richardson, Chairman & Mrs. Rutherford, Secretary.” ~ The Southern Banner. 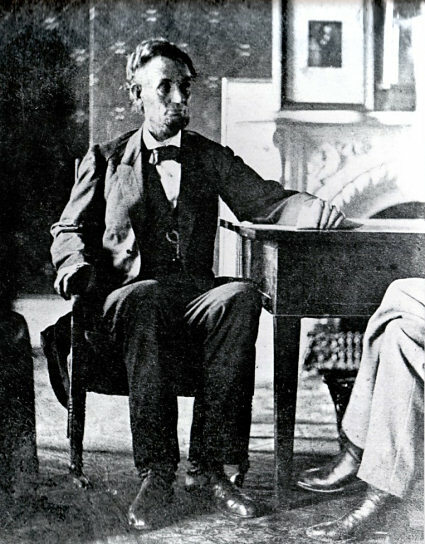 President Lincoln attends a lecture about Russia, receives the visiting Russian naval officers and issues assurances that escaped slaves will not be returned to slavery. President Davis assures one of his generals about the size of the enemy army. General Grant is generating excitement in the North, particularly in Washington. The Sanitary Commission prospers. Soldiers write about camp life. In Europe a noble child is born. A little of over fifty years hence his murder will thrust the world into the worst war yet known. 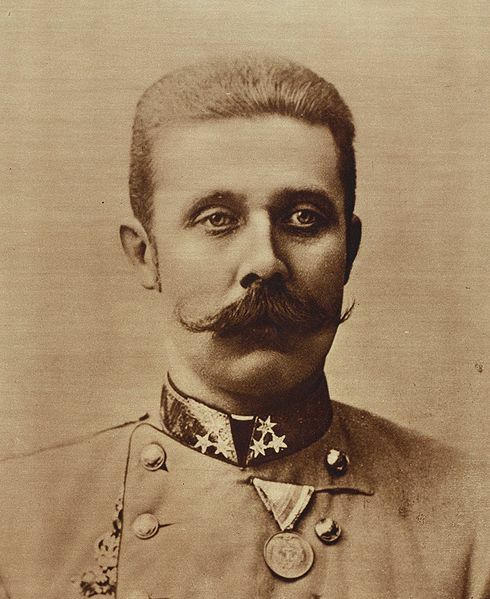 December 18– Friday– Graz, Austria– Birth of Archduke Franz Ferdinand, Archduke of Austria. He is the eldest son of Archduke Karl Ludwig and Princess Maria Annunciata, and a nephew to Maximillian who is trying to establish an empire in Mexico. The assassination of Archduke Franz Ferdinand in 1914 will help to precipitate the First Word War. December 19– Saturday– Orange Court House, Virginia– “I am most happy to have this opportunity to write you again. Christmas is near at hand & today finds me in the cold. We are building winter huts but I am afraid that I will not have a cabin to go in to at Christmas . . . working hard to get it done. I had hoped to spend this Christmas with you all but there is no such thing as that now. 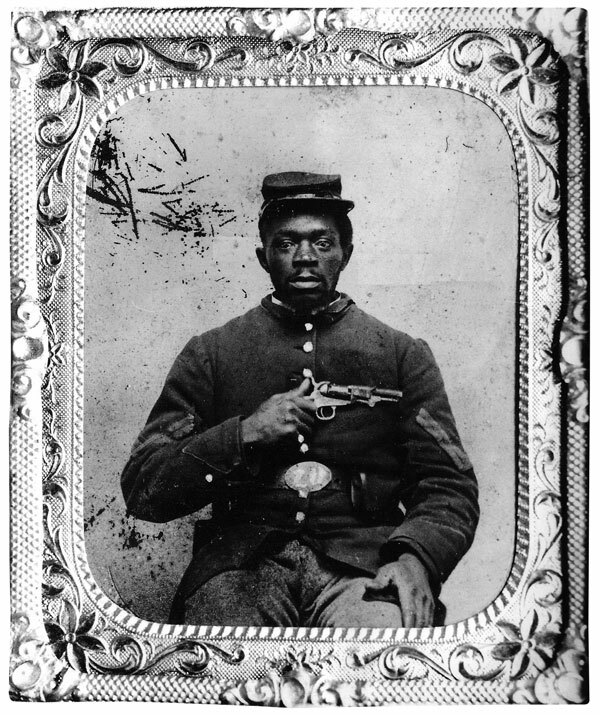 Adam will not get off either I wish he could get off but he and I will both get furloughs before the winter is over if they continue to give furloughs.” ~ Letter from Confederate soldier Silas Jones to his friend George Kersh. December 19– Saturday– Richmond, Virginia– “The force of the enemy as estimated by scouts is generally exaggerated. I hope it has been so in this case & if it should be possible to restore confidence among our own people, I trust that desertions will cease and that recruits will flock to your standard. The evacuation of the valley of the Arkansas no doubt produced, as usual in such cases, desertions from the troops raised in that quarter. If the chances of war should enable you to reoccupy it those men would doubtless return to you. 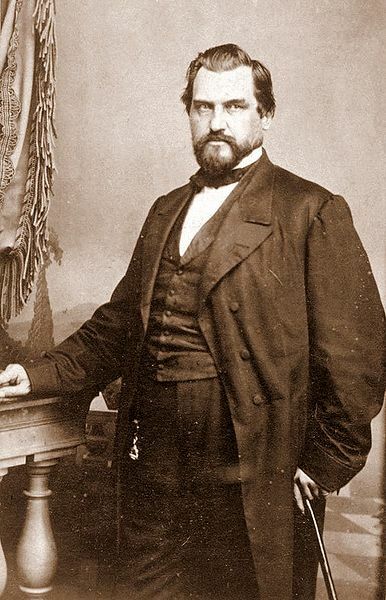 But the reoccupation has a higher importance than this– that is the only region where you can obtain the requisite supplies to support an army for the defense of Arkansas or for an advance into Missouri.” ~ Letter from President Jeff Davis to General Kirby Smith. December 19– Saturday– near Bean’s Station, Tennessee– “Having witnessed a good deal of the operations of what are known as partisan rangers, I have the honor to petition that all such organizations be abolished. They are usually, so far as my experience has gone, the most trifling troops we have. Acting alone, they accomplish nothing, and when serving with other troops they hang upon the rear to gather up property, and instead of turning it into the proper departments, spirit it away for speculation. Besides, it is evident injustice to the great mass of the army for a small part to be allowed pay for partial captures, while those who do the real work have no special reward. It will create great satisfaction to have all the troops put on the same footing.” ~ Request from Confederate General R Ransom to the War Department in Richmond. December 19– Saturday– St Andrew’s Bay, Florida–Union forces destroy a number of businesses and about 300 homes in the town. 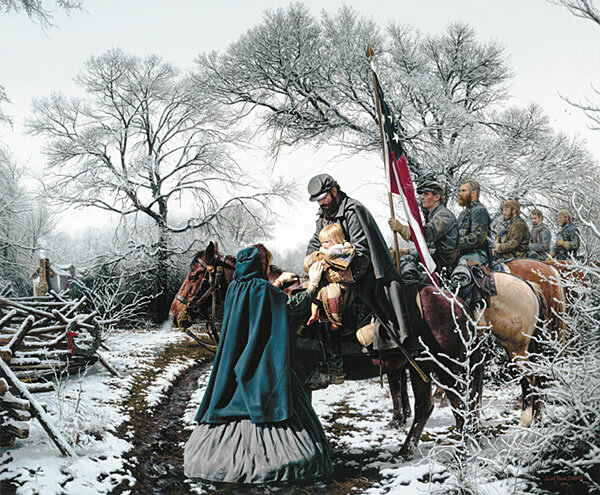 December 20– Sunday– General Longstreet’s camp in eastern Tennessee– “Molly, I may fall one day but if I do I intend by the grace of God to fall in the discharge of my duty and with my face towards heaven and, if it must be so, God grant us a happy meeting there. 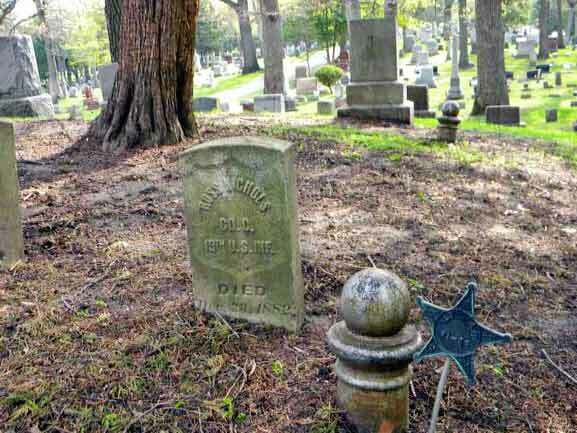 I would to God I could meet you again on earth.” ~ Letter from Confederate soldier William R Stilwell to his wife Molly. December 20– Sunday– Prospect, Tennessee– “During the day an incident occurred which shows how many things hard to bear occur during war time. The top of the hill where we are building the Fort has been used by the inhabitants as a Grave Yard, of the course of the ditch takes necessarily disturbs many of the Graves. Last August a year ago a man was buried there by the name of Allen, close to the right of our Sally Port, and where the Grave would be covered by the extreme left of the Breastwork. While waiting there yesterday morning his widow came to beg us to allow her to have her husband’s body removed, so that she could have it buried in some place where it would not likely be disturbed, for she could not bear the thought of a fight taking place over her husband’s grave. It seemed that when Allen died, she herself was sick and had not seen him either during illness or after death. The Colonel very kindly detailed 4 men to take the body up and then seized of my wagons to haul it off. I went with the Detail and helped rebury the poor fellow and shall [not] forget the gratitude of the poor woman. She said she did not think the Yankees could be so kind. She took down all the names of the Squad who helped her, that she might pray for them, and promised me she would pray for me and my wife and children. So if a rebel’s prayers are any account I suppose I shall gain something by it. But best of she got us a good dinner. We had Fried Sausage, Roast & Boiled Pork, Head cheese, Peach Pies and Sweet milk and an invitation to go and see her whenever we could get leave. As I commanded the squad of course I came in for a double share of thanks and invitations, but as she is 60 years old you need not get jealous.” ~ Letter from Union soldier George Cadman to his wife and family. December 21– Monday– Boston, Massachusetts– “I have been to see about getting together a package of books for you, but the booksellers are so busy it will be several days before I can get them packed and sent. Let me hear from you. 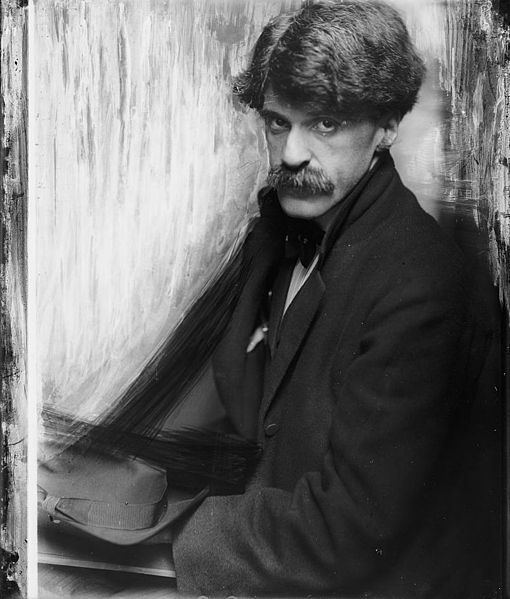 I write in haste with numb fingers– it is bitter cold here today.” ~ Letter from John T. Trowbridge to Walt Whitman. December 21– Monday– Washington, D.C.– “Be it resolved by the Senate and House of Representatives of the United States of America in Congress assembled, That the thanks of Congress be, and they hereby are, presented to Major-General Ulysses S. Grant, and through him to the officers and soldiers who have fought under his command during this rebellion, for their gallantry and good conduct in the battles in which they have been engaged; and that the President of the United States be requested to cause a gold medal to be struck, with suitable emblems, devices, and inscriptions, to be presented to Major-General Grant.” ~ President Lincoln issues an executive order to put into effect the joint resolution which passed Congress on Thursday the 17th. December 21– Monday– Camp Sedgwick, Virginia– “We are quiet in our winter quarters . . . . We drill when the weather will permit and sleep and smoke when it storms. We have received a number of recruits and about one hundred drafted men who look a little lonesome. . . . . The United States need the services of her sons. I am young and in good health and I feel that I owe a duty to my country. . . . . I like a soldier’s life and without egotism I think I can say that I am doing some service. . . . . so good bye homesickness. I am going, if God wills, to see the end of this wicked rebellion.” ~ Diary of Union officer Elisha Hunt Rhodes. December 21– Monday– Richmond, Virginia– “Such is the scarcity of provisions, that rats and mice have mostly disappeared, and the cats can hardly be kept off the table.” ~ Diary of John Jones. December 21– Monday– the Dismal Swamp, Virginia– A squad of black soldiers serving under Union General Edward Wild track a band of Confederate guerrilla fighters into the swamp and burn the Confederate encampment. 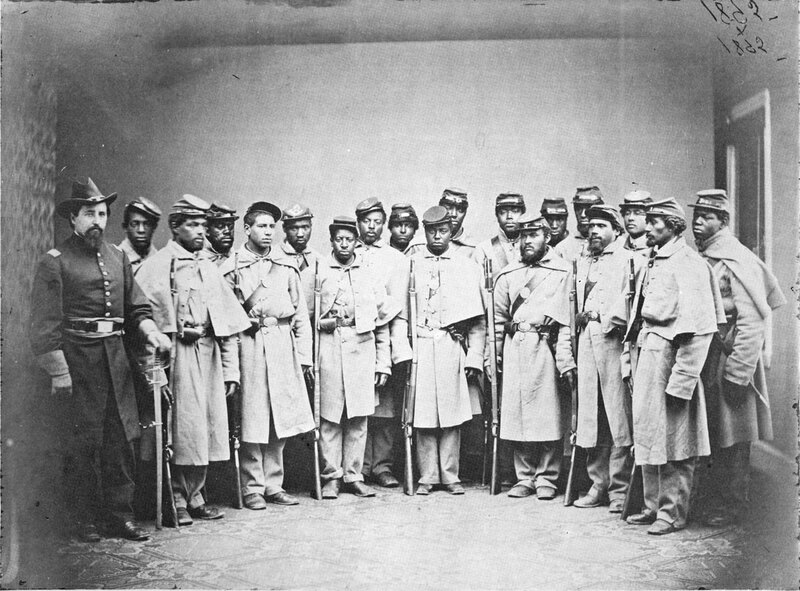 Black soldiers prove themselves in Tennessee, in North Carolina and in Virginia. Of the Union heroes from Gettysburg, General Buford dies and friends seek the promotion of Colonel Chamberlain. President Lincoln seeks improved relations with Nicaragua and with Great Britain. Welles writes about messy Washington politics. Canadians protect some Confederates. Whitman worries about his family. Soldiers write about the discomforts of winter. And the world continues to turn. December 15– Tuesday– Washington, D.C.– “The last word I got from home was your letter written the night before Andrew was buried, Friday night, nearly a fortnight ago. I have not heard any thing since from you . . . . Dear mother, I hope you are well & in good spirits. I wish you would try to write to me every thing about home & the particulars of Andrew’s funeral, & how you all are getting along . . . . I am still going among the hospitals, there is plenty of need, just the same as ever. I go every day or evening. I have not heard from George. I have no doubt the 51st is still at Crab Orchard [Kentucky]. ~ Letter from Walt Whitman to his mother. December 15– Tuesday– Washington, D.C.– “Seward and Chase were not present at the Cabinet-meeting. The President was well and in fine spirits.” ~ Diary of Gideon Welles. December 15– Tuesday– Columbia, Tennessee– “Permit me to make the following report: I started out last Friday, 11th instant, from Calliak’s with 100 mounted men of the Eighteenth Missouri . . . to press able-bodied Negroes, horses, and mules, leaving one team to each family, the horses and mules to be turned over to Colonel Miller, the Negroes to be put in my regiment now forming at this place, and upon arriving here to-day after a five days hard scout, Colonel Mizner, commanding the post, without any knowledge or consent of me, released 13 Negroes and sent them back . . . . what is to be done in this case?” ~ Memo from Colonel Thomas Downey, Fifteenth U. S. Colored Troops to Union General George Thomas. December 15– Tuesday– London, England–William Shee is appointed a justice of the Queen’s Bench, the first Roman Catholic to hold a judgeship in England since the Reformation. December 15– Tuesday– Anina, Romania– The first mountain railway in the country opens with service from here to Oravita. December 16– Wednesday– Hampton Falls, New Hampshire– Birth of Ralph Adams Cram, the eldest of three children born to William and Sarah Blake Cram. He will become a prominent architect, serving as Princeton University’s supervising architect from 1909 to 1931 and will author 18 books. December 16– Wednesday– Richmond, Virginia– “About half past one o’clock yesterday morning, the building on Cary street, opposite the foundry of Messrs. Ettenger & Edmund, owned and used by Lawrence Lottier for grinding snuff and making smoking tobacco, was, with its contents, completely destroyed. Had the fire communicated to several large piles of plank immediately in front of the snuff mill, the destruction of several tobacco factories and stables in the vicinity would have been almost inevitable. The firemen, however, succeeded in suppressing the flames before any damage, other than that above stated, was done. It is not known how the fire originated, but supposed to have been set on fire. Losses quite heavy.” ~ Richmond Sentinel. December 16– Wednesday– Montpelier, Virginia– “I was truly glad to hear from you again and to hear that all were well and that my noble boy was so smart and improving so fast. There is no use talking how bad I want to see you and him and all of you, but I see no chance now for me to get a furlough this winter. My health is excellent and I am still here guarding this house and premises, and am getting on finely. . . . . I am grateful to you for sympathizing for me when it is cold, but do not indulge in grieving for me, for often when you imagine I am suffering badly, I am comfortably situated. The winter here has been very mild so far for this country, though we have had ice three or four inches thick, we have had no sleet or snow yet. . . . I am delighted with the idea of getting the clothes and many good things you sent me. I hope I will get them safely. I feel and know that I have got the best wife and the best Mother in the world.” ~ Letter from Confederate soldier Marion Hill Fitzpatrick to his wife Amanda. December 16– Wednesday– Sambro, Nova Scotia, Canada– Although in Canadian waters, three United States warships recapture the merchant vessel Chesapeake but the hijackers all manage, with Canadian aid, to escape. 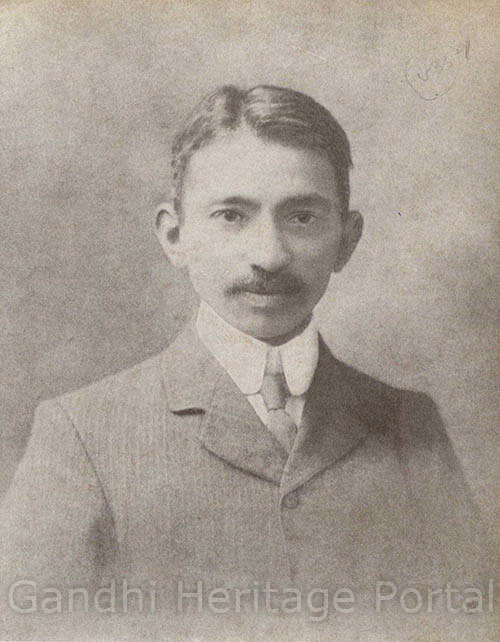 December 16– Wednesday– Madrid, Spain– Birth of George Santayana, philosopher, poet and novelist. 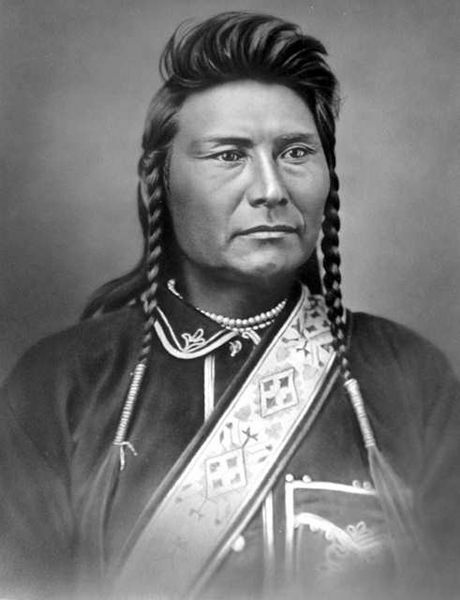 Although his parents separate shortly after his birth and his mother is the widow of an American, he will not be brought to the United States until 1872. 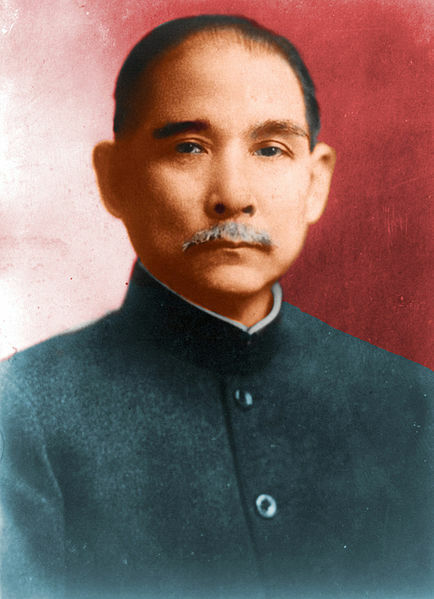 He will teach at Harvard from 1889 to 1912. His students will include Gertrude Stein and Felix Frankfurter. In 1912 he will leave the United States and live in Europe until his death in 1952. 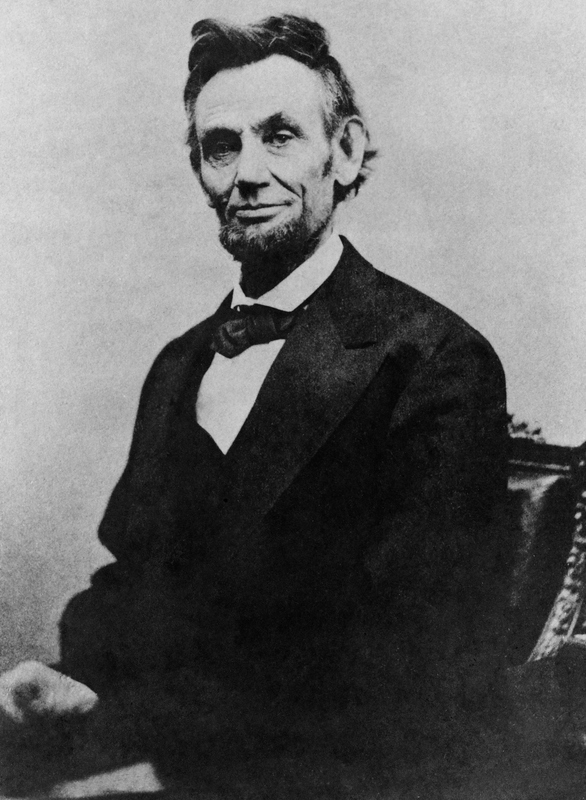 December 17– Thursday– Washington, D. C.– “I transmit to the Senate, for consideration with a view to its ratification, a convention between the United States and Her Britannic Majesty for the final adjustment of the claims of the Hudson’s Bay and Puget’s Sound Agricultural Companies.” ~ Message from President Lincoln. This is an effort to resolve disputes between the United States and Great Britain pending since the Oregon Treaty of 1846. December 17– Thursday– Washington, D. C.– “Herewith I lay before you a letter addressed to myself by a committee of gentlemen representing the freedmen’s aid societies in Boston, New York, Philadelphia, and Cincinnati. The subject of the letter, as indicated above, is one of great magnitude and importance, and one which these gentlemen, of known ability and high character, seem to have considered with great attention and care. Not having the time to form a mature judgment of my own as to whether the plan they suggest is the best, I submit the whole subject to Congress, deeming that their attention thereto is almost imperatively demanded.” ~ Message from President Lincoln to both Houses of Congress. December 17– Thursday– Richmond, Virginia– “Crenshaw Woolen Mills. The walls of this mill, seven stories in height, which have been left standing since the building was destroyed by fire some time last spring, fell in on Monday last. The workmen in the foundry and shops below received timely warning from the falling of a few bricks, and succeeded in making their escape before the fall of the entire structure, which crushed to atoms and utterly destroyed the foundry, (in which the workmen were engaged a few minutes before) as well as the forges and other fixtures contained therein. The large iron bridge connecting the ruins with the street fell with the walls. The mill site had recently been purchased by Messrs. J. R. Anderson & Co., who contemplated pulling down several of the stories by way of precaution. Their design has now been carried out in a way more speedy than acceptable.” ~ Richmond Sentinel. December 17– Thursday– Greenville, Virginia– “Moved at sunrise towards Staunton, passed through the town, on towards Greenville. Sleeting quite fast all day. Went into camp near the latter place about nine o’clock at night.” ~ Diary of Confederate cavalry soldier Robert P. Bryarly. 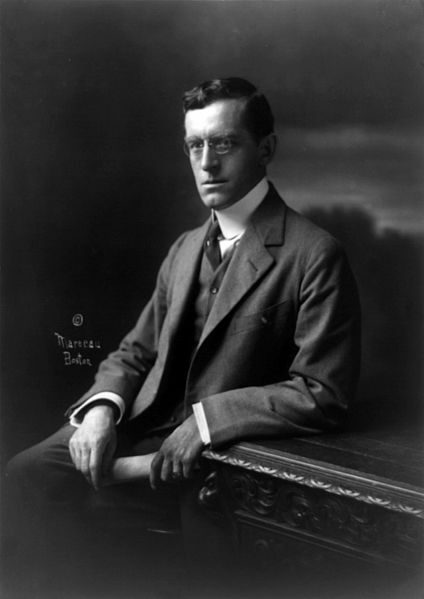 December 18– Friday– Washington, D.C.– “A charge of bribery against a Senator has resulted in John P. Hale’s admission that he is the man referred to, acknowledging that he took the money, but that it was a fee not as a bribe. ‘Strange such a difference there should be twixt tweedle-dum and tweedle-dee.’ This loud-mouthed paragon, whose boisterous professions of purity, and whose immense indignation against a corrupt world were so great that he delighted to misrepresent and belie them in order that his virtuous light might shine distinctly, is beginning to be exposed and rightly understood. But the whole is not told and never will be; he is a mass of corruption.” ~ Diary of Gideon Welles. Soldiers write of the deaths of comrades, winter conditions, suffer privations, deal with wounds and sickness, long for leave to visit home and continue fighting, particularly in Tennessee. President Lincoln seeks peace with a number of Native American nations while a Southerner speculates on next year’s upcoming presidential election in the North. Americans abroad observe Thanksgiving while Europe seethes with rumors of war. Navy Secretary Welles appreciates the international advantages of the visit by the Russian navy. The family of Walt Whitman has a serious problem. And the world continues to turn, babies born and the promise of change. December 11– Friday– Athens, Tennessee– “He took from his pocket a Testament and gave it to me and told me to read it and meet him in Glory. He also told me to tell his wife to train up his children in the nurture and admonition of the Lord and met him in Heaven. . . . . I thank God he has gone to Heaven oh my Dear parents you have a son buried beneath the sod of Tennessee but He rests in Jesus. And will rise at the last day to meet us in Glory if we but prove faithful. The next morning Aaron and I Buried him. Nicely to what all soldiers that fell there was although we had no coffin we dug a Vault and lined it with boards and then enscribed [sic] his named on the tree that we buried him under. And by this time the Regiment had passed and gone and I had to start in a hurrah to overtake them which I did that night.” ~ Letter from Union soldier James Vascoy to his parents in Indiana, describing the battlefield death of his brother Jacob. December 11– Friday– near Rogersville, Tennessee– A reporter for the Richmond Whig writes that 3500 of General Longstreet’s soldiers are without shoes and coats. December 11– Friday– Atlanta, Georgia– “Resolved by the General Assembly of Georgia, That the Committee on the State of the Republic, are hereby instructed to consider what action it may be prudent and proper for the authorities of Georgia to take, for the encouragement of the organization of a Volunteer Navy, for the service of the Confederacy, and to increase the number of vessels and seamen engaged in the Naval service; and to report by bill or otherwise, as early as practicable upon the subject.” ~ Resolution adopted today. December 12– Saturday– Washington, D.C.– “To-day the Members of Congress very generally visited the Russian fleet. I did not go down, but detailed two steamers which were at the yard to convey the members. Our Russian friends are rendering us a great service. Senator Sumner called, and we had half an hour’s interesting conversation on the topics of the day and times. He compliments my Report.” ~ Diary of Gideon Welles. December 12– Saturday– near Greeneville, Tennessee– “I knew you must be very uneasy. I was, dear Molly, in great danger but God delivered me out of all and brought me out without being hurt. I wrote you all the particulars. After our engagement, we learned that Bragg had fallen back from Chattanooga, that the enemy were marching on our rear in heavy force and that in a short time would be upon us front and rear, so there was nothing left us but to retreat as fast as possible. We left at dark on the night of the 4th and marched all night, one of the coldest times I ever saw. . . . . I cannot tell how much I want to see you and the children although I confess that I have lost many of the sweet remembrances of home and friends. I confess that I can hardly realize that I have a sweet wife and two little children. This may seem very strange to you who [are] at and home and [with] those little blessings of heaven around you, but it is nevertheless a fact. This truly is a world of forgetfulness. I often stray off to some sweet place and sit down to think of days that is past and gone, yes, the day when my work was done and come home to meet your smiling face at the door, yes the happiest days of my life. I try to call them to memory but it seems almost like a dream.” ~ Letter from Confederate soldier William R Stilwell to his wife Molly. December 12– Saturday– Adalsbruk, Norway– Birth of Edvard Munch, painter and printmaker whose work will focus on a strongly emotional treatment of psychological themes. His 1893 painting entitled The Scream will become his most famous work. December 13– Sunday– Franklin County, Pennsylvania– “A warm foggy day. . . . . A good deal of fuss about the rebs to day. Think it is all Bosh.” ~ Diary of Amos Stouffer. December 13– Sunday– Richmond, Virginia– “The coming year is to be an eventful one. We shall be able (I hope) to put 400,000 effective men in the field; and these, well handled, might resist a million of assailants from without. We have the center, they the circumference; let them beware of 1864– when the United States shall find herself in the throes of an embittered Presidential contest!” ~ Diary of John Jones. 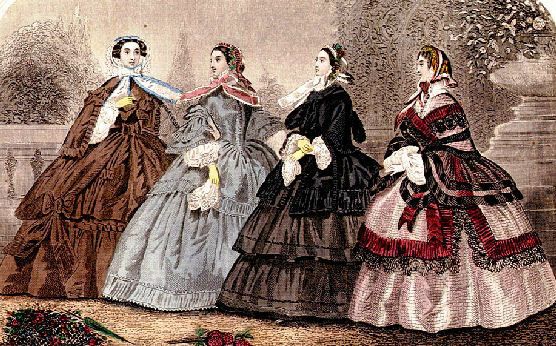 December 13– Sunday– Atlanta, Georgia– “I forgot to say that yesterday I had to whip our woman Caroline for insubordination and impudence to her mistress. I am disgusted with Negroes and feel inclined to sell what I have. I wish they were all back in Africa, or Yankee Land. To think too that this cruel war should be waged for them!” ~ Diary entry of an Atlanta businessman. 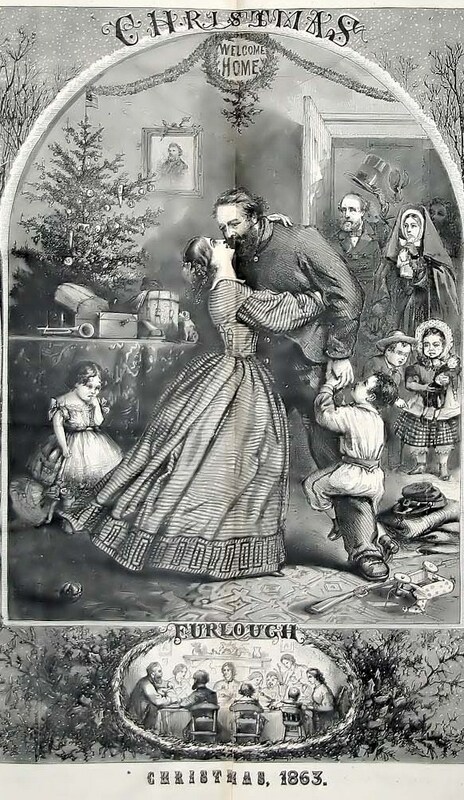 December 13– Sunday– Hurricane Bridge, West Virginia; Dandridge, Tennessee; Strasburg, Virginia; Farley’s Mill, Tennessee; Ringgold, Georgia; Meriwether’s Ferry, Arkansas; Germantown, Virginia; La Grange, Tennessee– Skirmishes and raids. December 14– Monday– Washington, D.C.– “I told my surgeon this morning that I was going to start for home Thursday night so as to get home Saturday p.m. He shook his head, but I told him I had the strength of a magnet . . . to draw me and strengthen me for the journey. 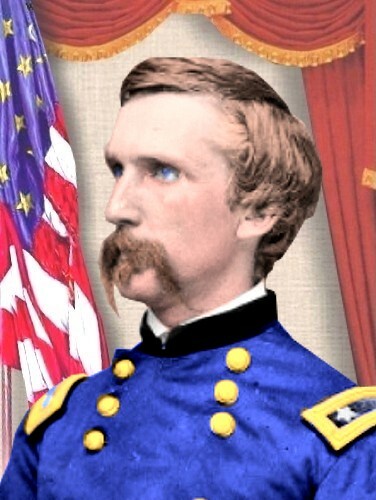 . . . . Bless you I am so happy at the thought of seeing you that weak as I am I feel as well as ever while I write.” ~ Letter from Union Colonel Joshua Lawrence Chamberlain to his wife Fanny. December 14– Monday– Richmond, Virginia– “We have President Lincoln’s message to-day, and his proclamation of amnesty to all who take an oath of allegiance, etc., and advocate emancipation. There are some whom he exempts, of course. It is regarded here as an electioneering document, to procure a renomination for the Presidency in the radical Abolition Convention to assemble in a few months. But it will add 100,000 men to our armies; and next year will be the bloody year.” ~ Diary of John Jones. December 14– Monday– Tazewell, Tennessee– “At the crossing of the Clinch River (Evans Ford) I found a sufficient guard, under the command of Colonel Kise. The river was rising quite rapidly, but the guard had raised and repaired the ferry-boat, which was crossing successfully, being pulled back and forth by hand upon a cable stretched from one shore to another. I think that it would be well, as a matter of security, to have another boat built there, and will so notify Colonel Babcock. I found the road from Bean’s Station to Tazewell much better than I expected, and I think that it will prove a passable winter road. When I arrived here this evening it was too dark to see, but I will go over the ground early in the morning. I find that considerable [work] has been done here, and that fortunately there is an officer here with his regiment . . . who is perfectly competent to do whatever may be required in the way of construction.” ~ Report of Union Captain and Chief Engineer O M Poe. December 14– Monday– Bean’s Station, Tennessee– In a day long see-saw battle, Confederate forces compel the Federals to retreat but are unable to gain any further advantage. Total Confederate losses– dead, wounded and missing– are approximately 900 and approximately 700 for the Union forces. December 14– Monday– Boons Hill, Tennessee; Caddo Mill, Arkansas; Granger’s Mill, Tennessee; Meadow Bluff, West Virginia; Morristown, Tennessee; Catlett’s Station, Virginia; Clinch Mountain Gap, Tennessee– Raids, skirmishes, fire fights and vigorous gun battles. December 15– Tuesday– Boston, Massachusetts– Birth of Arthur Dehon Little, the eldest of the for sons of Thomas and Amelia Hixon Little. He will become a chemical engineer and pioneer in industrial research, as well as a respected author of scientific writing. He will obtain a number of patents for processes in tanned leather, artificial silk, various petroleum products as well as paper and wood products. Also, he will conceive of the scientific education plan which will become the School of Chemical Engineering Practice at the Massachusetts Institute of Technology, his alma mater. President Lincoln offers amnesty to all in rebellion who freely take an oath of allegiance to the United States. He extends congratulations to General Grant for the recent success in Tennessee. Concern about the French intervention in Mexico reaches man different quarters. Russian naval officers are wined and dined in Washington. Women in Memphis try to provide for the poor. Nashville has no more coal. People in Wheeling are concerned about the families of soldiers. Soldiers wonder about winter quarters. A terrible fire destroys a church in Chile. And the world goes– babies born, old folks die. December 8– Tuesday– “Understanding that your lodgment at Chattanooga and Knoxville is now secure, I wish to tender you and all under your command my more than thanks, my profoundest gratitude for the skill, courage, and perseverance with which you and they, over so great difficulties, have effected that important object. God bless you all.” ~ Message from President Lincoln to General Grant. 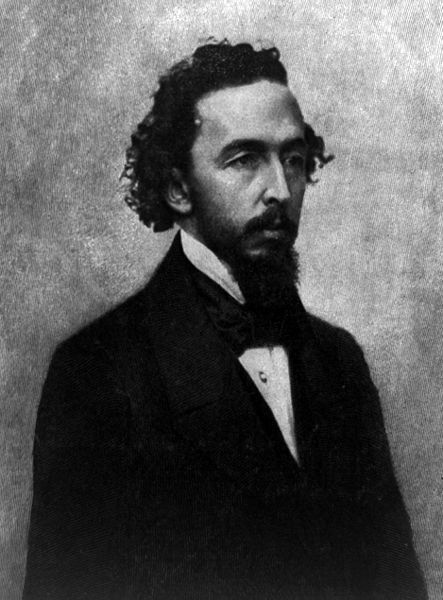 December 8– Tuesday– Guatemala City, Guatemala– U S Minister to the country, Elisha Crosby, reports to Secretary of State Seward that the Guatemalan government will not recognize the monarchy in Mexico unless the United States does. December 8– Tuesday– Santiago, Chile– The Church of the Company of Jesus, located in the downtown, is crowded with worshipers, mostly women and children, observing a feast day of the Virgin Mary when shortly before 7 o’clock in the evening a gas lamp at the top of the main altar ignites some of the fabrics adorning the walls. The fire spreads quickly from there onto the wooden roof. The attendees panic while trying to leave the burning building. Between 2,000 and 3,000 people perish in the fire, many burned beyond recognition, in a city that has about 100,000 inhabitants. Entire families are wiped out. The building is a total loss. December 9– Wednesday– Washington, D.C.– Dissatisfied with several design proposals from the mint director, Treasury Secretary Salmon Chase recommends the words “In God We Trust” be added to the design of the new one, two and three-penny coins. 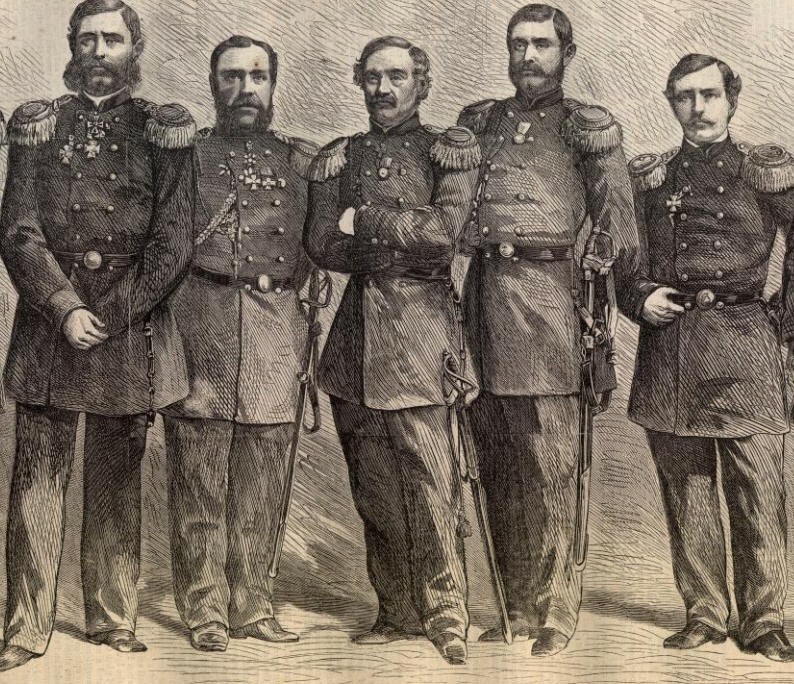 December 9– Wednesday– Washington, D.C.– “Received and entertained fifty Russian officers, the Cabinet, foreign ministers, and the officers of our own Navy who were in Washington, and all professed to be, and I think were, gratified. It was a question whether some of the legations would attend, but I believe all were present at our party.” ~ Diary of Gideon Welles. December 9– Wednesday– Camp Pittman near London, Kentucky– “I have just received a letter from Jeff, of Dec 3rd bringing the sorrowful news of the death of Brother Andrew. I was somewhat prepared for the worst, by Walt’s letter of Dec 1st but I still had strong hopes, that he would recover, and until I received Walt’s letter, I had no idea that Andrew was in any immediate danger. . . . Mother I do hope that you will bear up with your troubles, and not make yourself sick by worrying. . . . Mother you see by this that we have moved from Crab Orchard, we came on here last week, this place is 38 miles from Crab Orchard, in the direction of Cumberland Gap. How long we will remain here, of course we don’t know, but there is strong talk of our being ordered home to re organize and as nearly all of our men are anxious to re-enlist in the veteran Corps, I think that the chances are that we will be ordered home before many weeks. I sent you $150.00 by Addam’s Express a few days ago.” ~ Letter of George Whitman to Louisa, his mother. December 9– Wednesday– Memphis, Tennessee– “Ladies Union Benevolent Association. This excellent and very popular society gives a free reception this evening, to which all friends are cordially invited. We are happy to state that this charitable institution has procured the hall of the No. 3 [fire] engine house,on the corner of Adams and Second streets, which are fitted up in a style both useful and conformable to the members andothers desiring to visit them. The object of this association is, first, the promotion of the social circle, and, to give the proper value to society, as it should and ought to be; to aid the poor and indigent, who have been thrown on the world through their love of country, and otherwise aid all those who are worthy of help from this association. 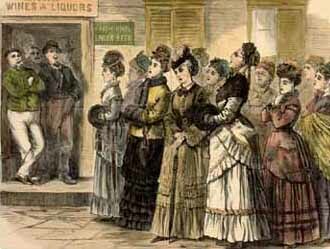 The officers, under whose management the ‘Ladies’ Union’ is conducted, are well and favorably known; being ornaments to our first society. The following ladies are the presiding officers for the presentterm: Mrs. Cooper, President; Mrs. Tagg, Vice-President; Mrs. C. C. Smith, Secretary Mrs. Cobb, Treasurer; Mesdames Beeman, Walcot and Boyle, Directresses. We understand that it is the intention of the ladies to have the affair during the Christmas holidays, the proceeds of which will be handed to the poor of our city. They propose also to give several concerts for the same charitable purposes.” ~ Memphis Bulletin. December 10– Thursday– New York City– Irish-born Charles C. Ingham, portrait painter and one of the founders of the New York National Academy of Design in 1826, dies at age 67. He was 20 years old when he and his family came to the United States. Among his best known works are his portraits of the Marquis de Lafayette and of New York Governor DeWitt Clinton. December 10– Thursday– Montpelier, Virginia– “The old fellow here says he wants us to stay as long as the Army stays here and we may spend the winter here. . . . . This has once been a grand and noble place and many traits of its grandeur can be seen yet, but since the war it has been taken but little care of and the beauty of the place, such as the fancy garden, yards &c is almost entirely neglected. The dwelling is situated on a beautiful eminence and commands a grand view of the mountains and the country scenery around. It has been erected more than a hundred years and is built of pure granite. It is a very large house and has about 20 rooms in all. The grave yard is quite interesting to look at. Madison, with many of the family, is buried there. It is enclosed and belongs to the State of Virginia. The monument over the grave of Madison is about 20 feet high and is of plain granite, nothing showy about it.” ~ Letter from Confederate soldier Marion Hill Fitzpatrick to his wife Amanda. December 10– Thursday– Chattanooga, Tennessee– “The general commanding takes this opportunity of returning his sincere thanks and congratulations to the brave armies of the Cumberland, the Ohio, the Tennessee, and their comrades from the Potomac, for the recent splendid and decisive successes achieved over the enemy. . . . . By your noble heroism and determined courage you have most effectually defeated the plans of the enemy for regaining possession of the States of Kentucky and Tennessee. You have secured positions from which no rebellious power can drive or dislodge you. For all this the general commanding thanks you collectively and individually. The loyal people of the United States thank and bless you. Their hopes and prayers for your success against this unholy rebellion are with you daily. Their faith in you will not be in vain. Their hopes will not be blasted. 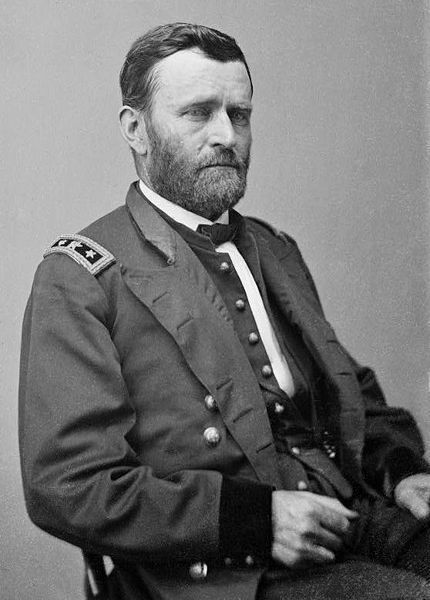 Their prayers to Almighty God will be answered.” ~ General Orders, #9 from Union General Ulysses S Grant. December 10– Thursday– Nashville, Tennessee– “The gas-works, having exhausted the supply of coal in the city, Nashville last night was without a solitary gas jet. The gas-works have suspended operations and our city will be in a state of darkness until a supply of coal reaches us. In the meantime our denizens will have to go back to first principles and use candles and lamp-oil.” ~ Nashville Daily Press. December 10– Thursday– London, England– “I suppose from your unbroken silence that you cannot have received any of my letters. . . . . How anxiously I look for letters from home it would be impossible for me to tell you. All the accounts come through the Yankee press– Just now we have the news of Bragg’s disastrous defeat and falling back from Lookout Mountain– with loss of 60 pieces of artillery small arms &c and 8000 prisoners – I give a wide margin to this for the usual exaggeration. But the effect is most depressing. . . . . My friend you know not the importance of sending correct information, which can be used so as to counteract the Yankee accounts. I believe that all classes here except the Abolitionists sympathize with us and are only held back from recognizing us for fear of war with the United States. The invasion of Canada is the great bugbear. Remove this and all will flow smoothly. I am myself sanguine of the events of the next few months. 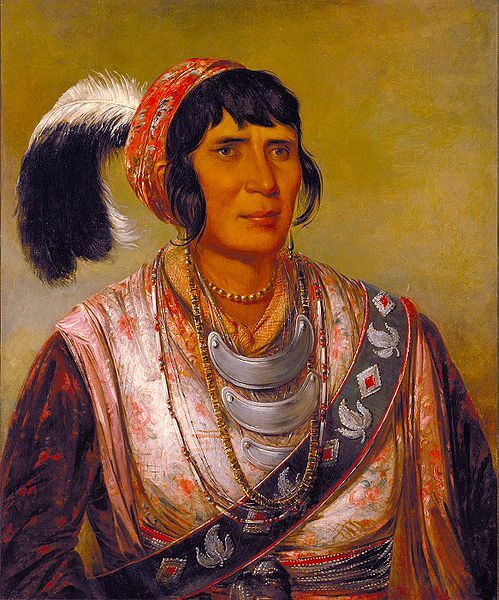 The Mexican question is so intimately connected with our own that the one is a sequence of the other.” ~ Report from Confederate agent Rose Greenhow to Colonel Alexander Boteler, former Virginia Congressman and now serving as an aide to Confederate General Jeb Stuart in Virginia. December 11– Friday– New York City– Anne Hall, a painter of miniatures, dies of heart disease at her sister’s home at age 71. In 1833 she had become the first woman to be a full member of the National Academy of Design. December 11– Friday– New York City– “Uncle Abe is the most popular man in America today. The firmness, honesty, and sagacity of the ‘gorilla despot’ may be recognized by the rebels themselves sooner than we expect, and the weight of his personal character may do a great deal toward restoration of our national unity.” ~ Diary of George Templeton Strong. 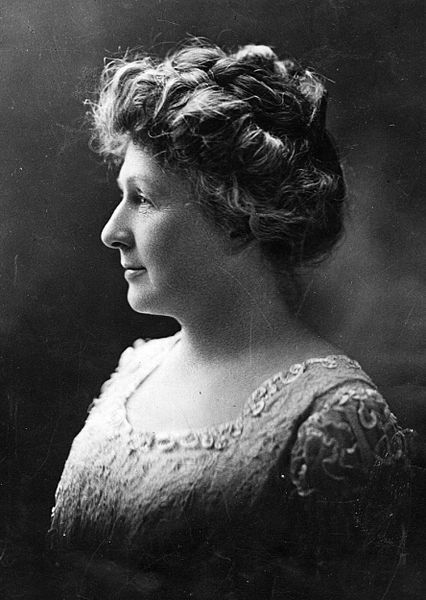 December 11– Friday– Dover, Delaware– Birth of Annie Jump Cannon, only daughter and oldest of three children born to Wilson Lee and Mary Elizabeth Jump Canon. She will study physics and astronomy at Wellesley College and will work in the observatory at Harvard for forty-five years, gathering an unsurpassed collection of astronomical data and publish a significant number of articles and papers. She will actively campaign for woman suffrage, be an active member of Alice Paul’s National Woman’s Party and receive an honorary doctoral degree from Oxford. December 11– Friday– Wheeling, West Virginia– “Soldiers’ Relief Meeting. Only a few persons assembled at the Court House last evening. . . . . Several persons stated that comparatively large sums had been subscribed which had not as yet been paid in. Mr. Holliday from the first ward stated a citizen of that ward had just given him a check for $250. It was stated that an estimate had been made that it would require about six hundred dollars per week to supply the needy families with the necessaries of life, to say nothing of clothing, of which many children stood badly in need. It was understood that there would be a meeting on Monday evening next.” ~ Wheeling Intelligencer. President Lincoln sends his state of the union message to Congress. Among other things he encourages a policy of increasing immigration. [Current Republicans take note!] Congress convenes with Lincoln’s party in control of both houses. Harper’s Weekly praises the Gettysburg Address. In Tennessee Federal troops under General Sherman relieve the defenders at Knoxville, effectively breaking the Confederate siege. Civilians complain about the plundering done be both armies and their young men being called away for soldiering. Rebels and Canadian sympathizers hijack a ship. A Federal hero from the Gettysburg battle is hospitalized. Some raise concern about intemperance. The Whitman family experiences a loss. And the world goes on, irregardless of the American war. December 5– Saturday– New York City– “The oration by Mr. Everett was smooth and cold. Delivered, doubtless, with his accustomed graces, it yet wanted one stirring thought, one vivid picture, one thrilling appeal. The few words of the President were from the heart to the heart. They can not be read, even, without kindling emotion. 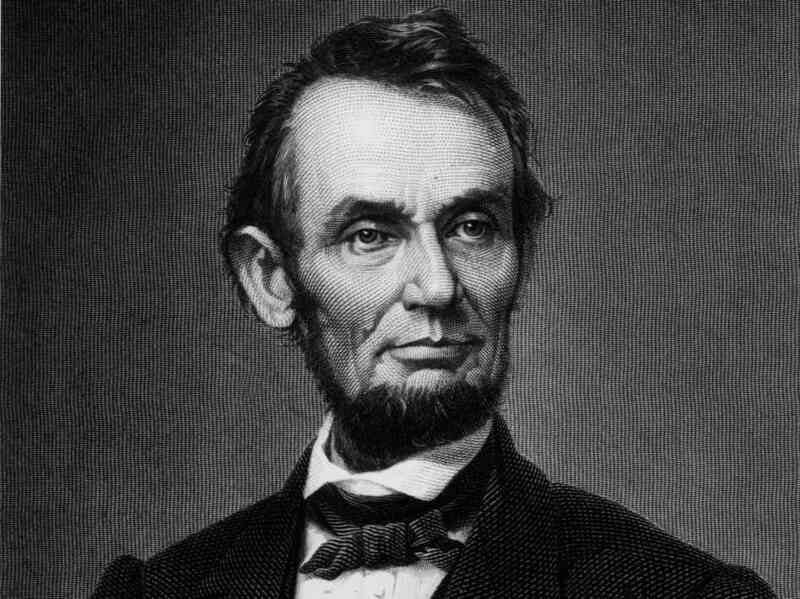 ‘The world will little note nor long remember what we say here, but it can never forget what they did here.’ It was as simple and felicitous and earnest a word as was ever spoken.” ~ Harper’s Weekly on President Lincoln’s speech at Gettysburg. December 5– Saturday– Washington, D. C.– “The Doctors say I have a malarial fever, darling, and I shall be several days getting over it. While I was lying tossing and burning last night, some body came and said a letter for you and from your wife they say. You may be sure I had a candle brought and read my fever to sleep. Don’t be worried, dearest.” ~ Letter from Union Colonel Joshua Lawrence Chamberlain to his wife Fannie. December 5– Saturday– McGhee’s Farm along the Tennessee River, Tennessee– “Taken from the farm . . . by the commands of Major Dobbs & Colonel Long . . . under General Sherman. As near as I can ascertain from the Amount killed twenty five hundred pounds Bacon or salt pork taken. Think I can safely say there were ten thousand pounds or upwards 1/4 of which was undoubtedly taken & I was only Receipted for 245 lbs. A potion of said meat was taken away. Pressed from the farm 2 large work mules & three indifferent ones left on the farm 2 of which has since been stolen no clue to the thief. The impressment was done by those calling themselves confederate soldiers. The Confederates took a number of bushels [of] wheat– the amount I cannot tell– perhaps 500 bushels. Confederate Army burned 1283 panels [of] fence amounting to 15,000 rails. Killed 25 fat hogs, about 75 sheep, took Bridles & lines, all of which there was nothing paid, together with the greater potion of the Hay raised on the farm, Iron, etc. The Federal Army consumed corn, hay, potatoes, mutton, etc, without giving receipts for same.” Diary of W. H. Dawson, describing the farm being plundered by both armies. December 5– Saturday– Sabine Pass, Texas– Birth of Pattillo Higgins, self-taught geologist, oil pioneer and businessman, known as the “Prophet of Spindletop” who will make a fortune in drilling for oil beginning in 1900. 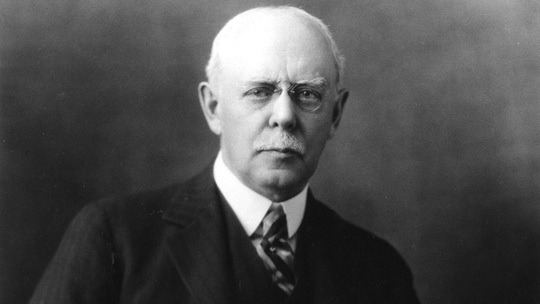 December 6– Sunday– Thompson, Ohio– Birth of Charles Martin Hall, son of Heman Basset and Sophronia Brooks Hall. He will become a chemist and discover the commercially successful process of making aluminum. 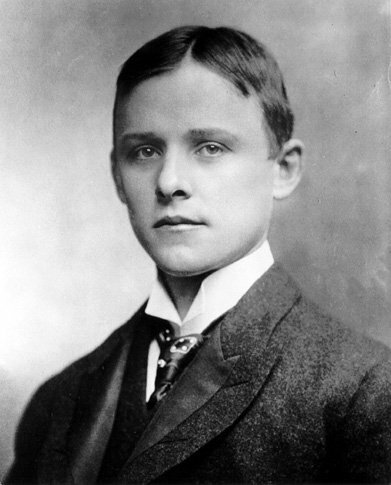 At his death in 1914, he will leave a third of his estate to Oberlin College, his alma mater, a gift that by the early 1930’s would exceed $15,000,000 in value. December 6– Sunday– Washington, D.C.– “I sent you a letter four days ago that Andrew was gone at last, poor fellow. . . . . I did not go on to Andrew’s funeral, (I suppose it was yesterday) but I am very, very sorry now that I did not stay while I was home. I am well. Write when you can.” ~ Letter from Walt Whitman to his brother George. December 6– Sunday– Knoxville, Tennessee–Federal troops under General Sherman enter the city, re-enforcing General Burnside’s troops. December 7– Monday– Washington, D.C.– “Reliable information being received that the insurgent force is retreating from east Tennessee under circumstances rendering it probable that the Union forces can not hereafter be dislodged from that important position, and esteeming this to be of high national consequence, I recommend that all loyal people do, on receipt of this information, assemble at their places of worship and render special homage and gratitude to Almighty God for this great advancement of the national cause.” ~ Proclamation by President Abraham Lincoln. December 7– Monday– Washington, D.C.– Congress comes into session. In the Senate, the Republicans control 66% of the seats, the Democrats 20% and third parties 14%. In the House of Representatives, the Republicans control 45.9% of the seats, the Democrats 39.3% and third parties 14.8%. However, most of the smaller parties vote with the Republicans. 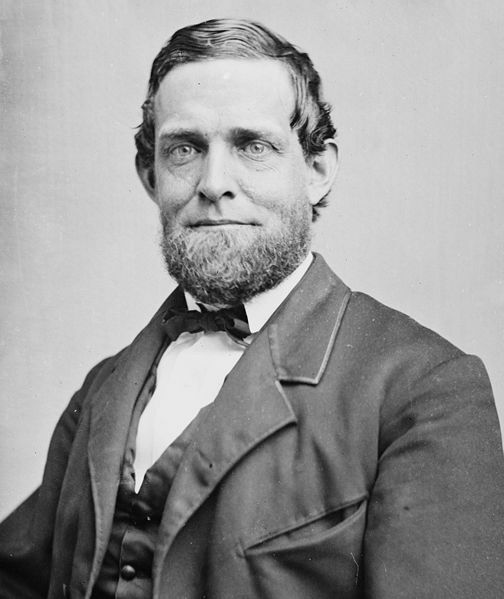 Schuyler Colfax, age 40, Republican from Indiana, strongly anti-slavery and pro-immigration, is elected Speaker of the House. Thaddeus Stevens, age 71, Republican from Pennsylvania and a fervent abolitionist, despised in the Confederacy, chairs the powerful House Ways and Means Committee. December 7– Monday– Stewartville, Minnesota– Birth of Richard W Sears, son of James and Eliza Benton Sears. He will become known as the “Barnum of merchandising” and with A C Roebuck found the business which bears their names. 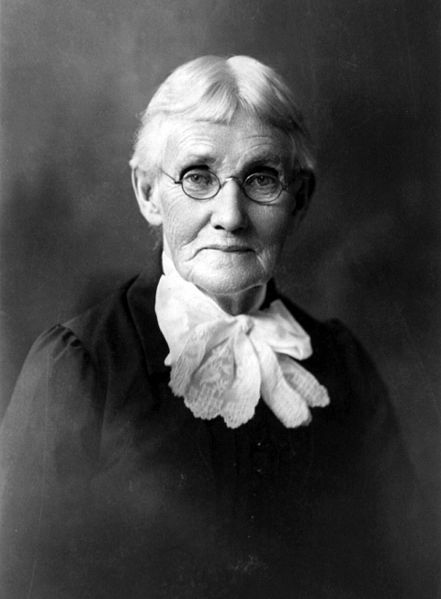 December 7– Monday– White County, Tennessee– “I have been out all day amongst the patrons of my school. Some of them promised me corn if I could get it home, but that is it, everyone is afraid of the Yankees, who persist in coming out from Sparta and committing ‘depredations on peaceable citizens’ despite the oath which some of them have taken. Indeed the country is in a dreadful state. No worse yet, as I know of, than it has been before with ‘our own men,’ as we have all learned to say. (I have but little part in them and wish I had less.) . . . . Fayette . . . had to leave from Hughs to go to Bragg’s war and he intended to go if there was any possible chance of getting there, for he is dreadfully opposed to their way of fighting here, and said a long time [ago] he would not go, but, when the Colonel called for him he had to go. Very few men can do as they like these days.” ~ Diary of Amanda McDowell. December 7– Monday– Knoxville, Tennessee– “I desire to express to you and to your command my most hearty thanks and gratitude for your promptness in coming to our relief during the siege of Knoxville, and I am satisfied that your approach served to raise the siege.” ~ Message from Union General Burnside to General Sherman. December 7– Monday– London, England– Birth of John Ebenezer West, son of William and Clara West. He will become a composer, organist, conductor and for 45 years a music editor at London’s Novello & Company. December 8– Tuesday– off Cape Cod, Massachusetts– A group of Confederate sympathizers, several of them Canadians, led by John C Briane seize control of the merchant vessel Chesapeake. > on the costs of the war: the War Department spent $599.3 million and the Navy Department spent $63.2 million; the Navy has 588 warships on active duty and captured over 1,000 blockade runners which won over $13,000,000 in adjudications in prize courts.